Technofast products offer precision engineered, high pressure, high performance, tensioning devices for a number of applications. 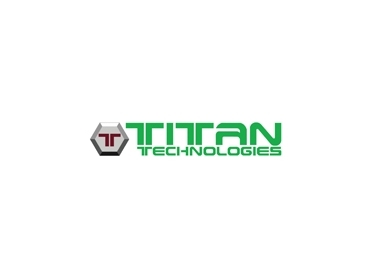 Titan Technologies is the representative of the entire range of Technofast products. All applications in mining, quarrying, marine, oil and gas, power generation, agricultural, structural etc. Vibrating screens, flanges, reactors, autoclaves. Same as the HydraNut. It will suit all types of applications. A more versatile type of HydraJac that will suit all types of applications. Designed to work in sub-surface conditions suitable for oil and gas pipe lines, intervention lines and injection manifolds. For restricted access this slender design is suited for crane slew rings, steam turbines, gas turbines and wind turbines. A quickly adjustable design that provides flexibility and offers great savings in labour hours; it will suit plate heat exchangers and cable tensioning applications. The 2-stage Turbine HydraJac ensures that bolts are correctly loaded within the tight restrictions of the hub design. It replaces the conventional threaded nut to allow shaft tensioning simple and efficient. Metal slitting mills, coil rewinders, marine propeller shafts, sugar milling equip, steel rolling mills, etc. Exclusively designed for disc ploughs, the AgNut offers many savings. A solution to insufficient bolt protrusion, the CamNut will allow the challenging application to use the bolt tensioning tools. Coupled with the HydraJac the Cam Nut will be the connection to the bolt for the operation. This is a hydraulic compression tool that will compress gland packing on rotating shafts and remove any safety issues associated with this work application.